New details from the latest issue of Weekly Famitsu. The latest issue of Weekly Famitsu has an interview with Dissidia Final Fantasy NT producer Ichiro Hazama and director Takeo Kujiraoka, who share a few new details about the PlayStation 4 fighting game. The PlayStation 4 version will incorporate the world view and story of the arcade version. There is no story-only mode, fighting is the focus through and through. As you continue to battle, the story will naturally tell itself. The story this time is set far beyond the events of the battles from the PSP games. While the story of the PSP games has come to an end, it will show why the battle of the gods continued. Since this is a sequel to the PSP games, they’re not restarting the story to make it the first time that the characters meet. In the PSP games, everyone lost the memories of the worlds from their original titles and came to this world, but this time they remember their original worlds, as well as the events of the PSP games, and more so, since most of the characters have cleared the main story, they’re full of confidence. In the case of Cloud, this is him from after Advent Children. For that reason, his outfit and other characters’ outfits during some character stories are different from the arcade version. The arcade version and PlayStation 4 version share the same world. There are proper reasons why users are fighting in the arcade version. The playable characters, stages, and EX Skills available in the arcade version will be implemented in the PlayStation 4 version at the time of release. Just because there’s a PlayStation 4 version doesn’t mean they’re going to neglect the arcade version. The arcade version will receive updates first, and a certain amount of time after that, the update will follow to PlayStation 4. While battles are the focus of this game, players who are not good at competitive fighting can also enjoy it. You can choose a difficulty level when playing against the CPU, as well as choose rules to get a sense that you’re playing a party game, which can only be done on PlayStation 4. 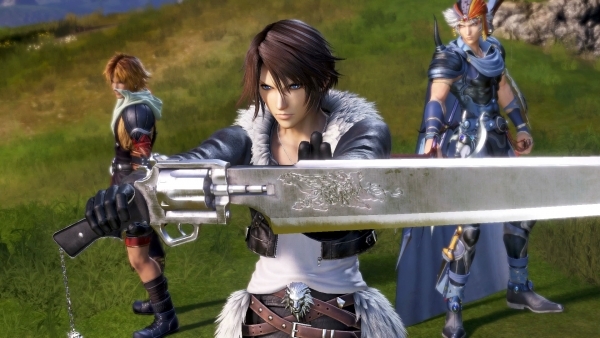 Dissidia Final Fantasy NT is due out for PlayStation 4 worldwide in 2018.